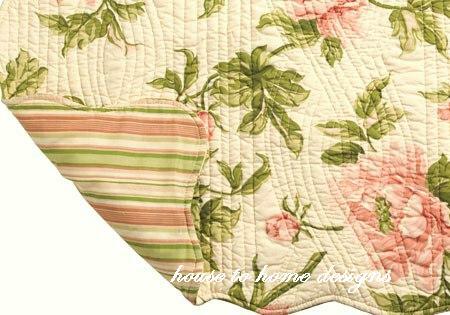 The luxurious Mia quilt will create a haven of sweet repose with its soft pink and green hues. 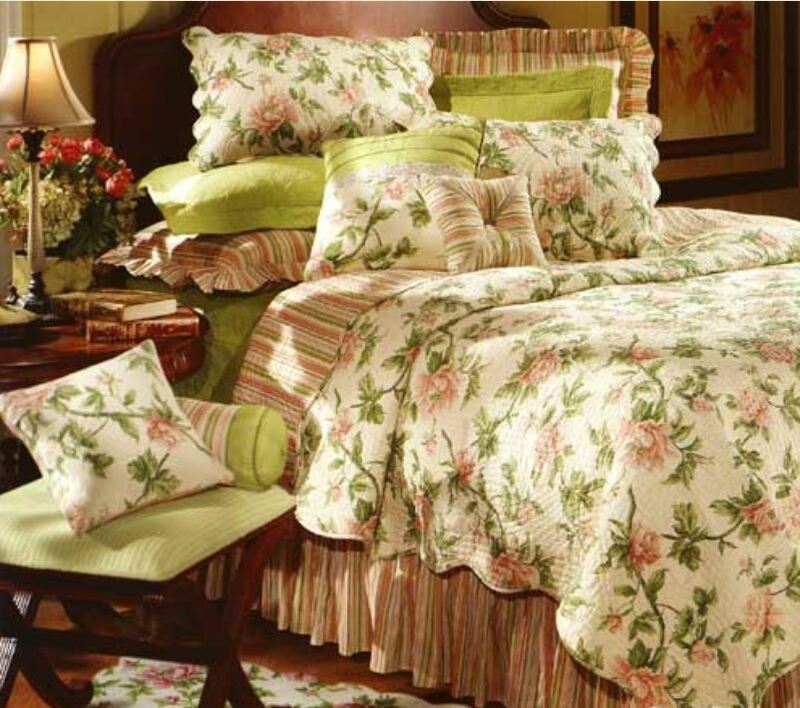 This channel-stiched quilt is covered in subtle pink cabbage roses, wrapped in a sea of green vines on a vanilla-cream background, then trimmed with an elegant scalloped edge. Reverses to the same soft pink and sage green in a coordinated stripe. Perfect for the French Country decor. Coordinated Matelasse color: "Green" or "Blush"